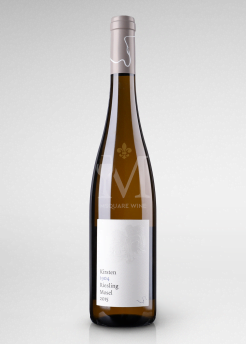 Mosel is well known for its high quality riesling and today we have the pleasure to bring you an exclusive collection produced by a family estate – Kirsten. Bernhard Kirsten, maker and owner of Kirsten is a mosel native with experience in Napa Valley at Domaine Napa, Pine Ridge and Robert Mondavi. Today, the estate is comprised of 15 organically farmed hectares on steep slopes along the Mosel river. 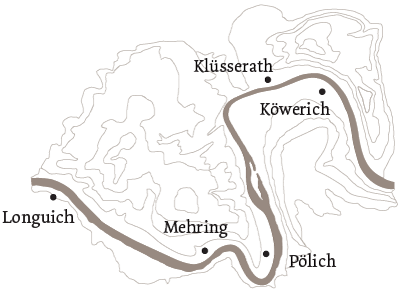 Including Klüsserath, Köwerich, Pölich, Mehring and Longuicher, which these locations became the inspiration for the winery’s logo. What makes Kirsten unique is their persistence on organic cultivation, yield reduction, long natural fermentations and selective barrel treatment. While some of the vines has been planted during 1904, which lead to complex and multi-layered flavors. Kirsten is full or purity, complexity and characters that you will not find in other rieslings.